There can be several reasons behind your refrigerator not getting cold some of the best refrigerators in India can also stop keeping your water and milk cold. Refrigerators are not a simple machine and you will have to do several tests to find out what could cause a refrigerator stopped getting cold. Before you start with some common tests you should start with some basic troubleshooting like checking the temperature control settings, shift your setting to a colder one and see if this fixes your problem if not then check the food load make sure it’s not blocking the air vent and prevent it from cooling your refrigerator. Now if you have done that and still your refrigerator isn’t getting cold then let’s start with some common problem and how to troubleshoot them. 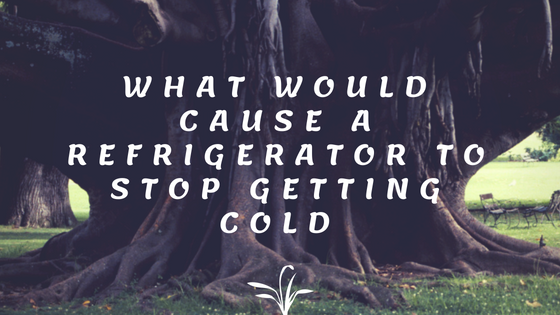 Some common problem that causes a refrigerator stops getting cold. 1 Some common problem that causes a refrigerator stops getting cold. Open the refrigerator door and see if the light turns on if the light doesn’t turn on which means the refrigerator is not getting power from the electrical outlet, check the electrical outlet in which the refrigerator is plugged in. You can Check by inserting any other electrical appliance into the electrical outlet and see if it’s working, If not then get the Outlet repaired by some electrician. Refrigerator gasket is the seal applied to the door of the refrigerator to prevent cold air from getting out of the refrigerator. The seal becomes loose over time you can ensure this if the refrigerator door opens easily without applying much force this can cause the refrigerator to leak cold air. You can replace the refrigerator gasket if necessary. The condenser coil is usually located at the bottom side of the refrigerator and can be seen easily. If the condenser coil is dirty then it prevents it from maintaining proper temperature. The coil expands heats when the refrigerant passes through them when dirt forms on the coil it makes the condenser less efficient, So check the condenser coil and clean if it is dirty. Sometimes the evaporator is caked with frost which can inhibit cooling you may need to check and troubleshoot this issue with the automatic defrost system which uses a defrost heater. The Evaporator fan pulls air from the evaporator coil and regulates throughout the refrigerator, it is located in the freezer compartment and it its stops circulating air throughout the refrigerator then the freezer will still get cold but the refrigerator isn’t. To ensure this you can try turning the fan motor blade by hand if it doesn’t spin then you should get the evaporator fan motor replaced. The thermostat is a temperature sensor that controls air temperature inside the refrigerator. If the thermostat stops working then it affects the start and stop of your cooling cycle and doesn’t cool your refrigerator at all. It is a common part and can be easily replaced.